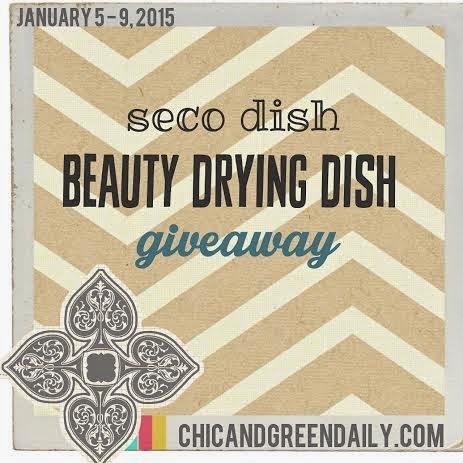 It's our FIRST giveaway of 2015 here at Chic & Green and it is a product I personally use and adore: the seco dish® Beauty Drying Dish. I am a brush cleaning nut. 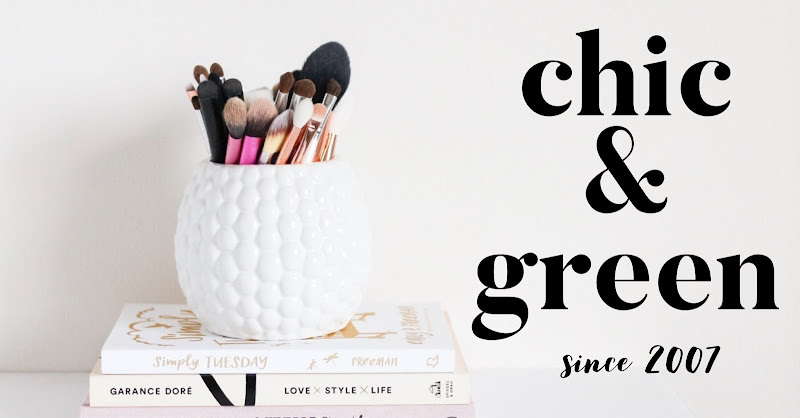 I carry several of my favorite brushes to work with me, even though I am able to use the fantabulous Real Techniques brushes while I am in store. Between clients, I always use the provided blush cleaning spray. Since I use the brushes, too, I am oh so careful to clean them at home -- and often. A few years ago, I shared my homemade brush cleaner recipe. If you are looking for a ready-made makeup brush cleaner, I can wholeheartedly recommend Mineral Fusion Brush Cleaner. It sprays right onto the brushes. For a deep clean, however, I use baby shampoo and give them a thorough cleansing. To dry, I used to lay my brushes on a towel or else stand them up in a glass. There is a BETTER way and that is one of my new favorite products-- the seco dish®. Girls, I'll be honest. When I first saw it, I thought it was just a cute saucer. Nope. It's not. 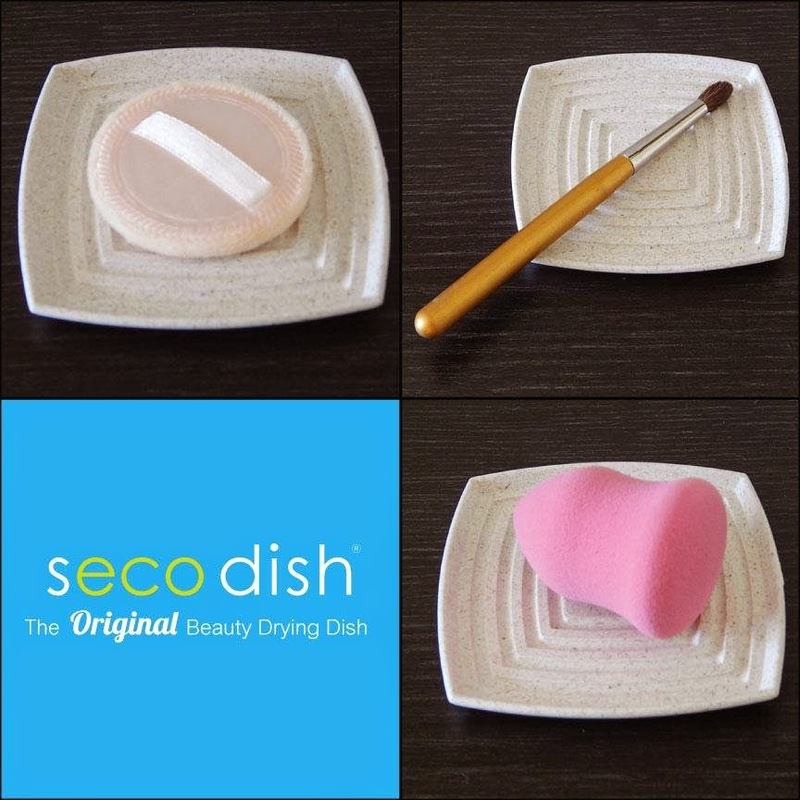 The seco dish® Beauty Drying Dish provide EASY and hassle-free air-drying of all of my tools-- from my Beauty Blender to my makeup brushes. What is different about this drying dish is that it is antimicrobial. There are special little air venting grooves to ensure proper drying. This is made in the USA from recycled materials and it is dishwasher-safe (top shelf). 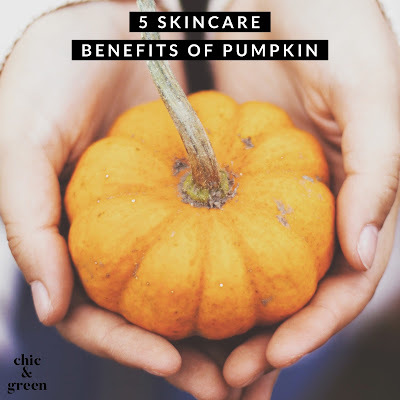 I recommend that EVERY makeup artist and at home beauty maven (like all of you!) have one for your makeup brushes. You can purchase the seco dish® over on AMAZON for $11.99. YOU have the chance to win one of your own, thanks to the lovely people at seco dish®. Enter NOW through Friday for your chance to win!